Two years ago, Nick Brown was doing some soul-searching. The then-partner at 14W had been investing in retail’s direct-to-consumer (D2C) revolution on behalf of the firm for some six years. But then he began to think about what the next chapter in his professional life would be. 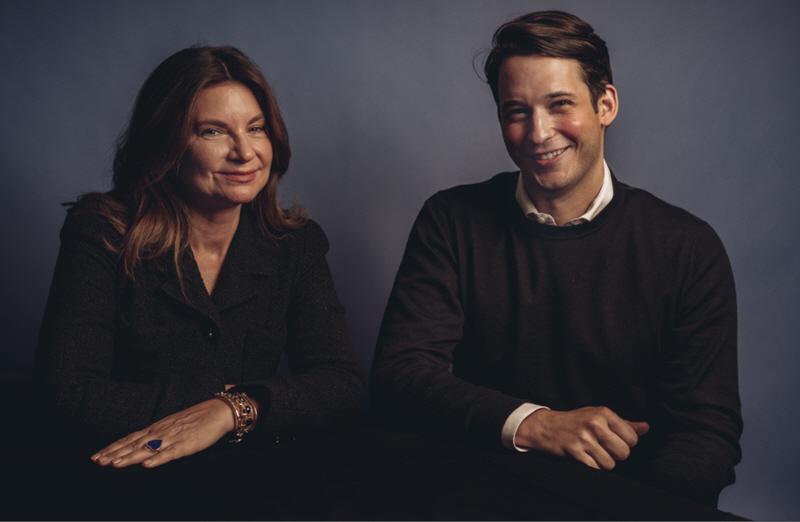 "Right around that introspection," he told PitchBook, "Natalie [Massenet] had just left the business she founded, Net-a-Porter." The company Massenet had formed in 2000 was in the process of merging with Yoox, leaving her more opportunity to work with founders. "I was inundated with requests from founders who asked me to spend time with them, advise them, mentor them or even invest in their business," she said. "And having a bit of free time on my hands, I said yes." With Massenet now in the investing circle, she and Brown—having known each other previously—started to informally work together before deciding last January to take the VC plunge. This became Imaginary Ventures, a new firm which launched in April with a $75 million debut fund aimed at retail tech. The investor already counts companies such as Farfetch, Appear Here and Dirty Lemon in its portfolio. One of the reasons for Massenet's switch to the VC world was observing a distinct change in behaviour among retail customers. "I started watching the evolution of how consumers were discovering new brands, buying into new brands, and the speed with which brands could go from zero to $100 million without using traditional marketing channels," she said. "It became clear to me that there was a real opportunity for new players to come in and that you could have big businesses with new people. As a multi-brand retailer, I learned you have to offer newness to the consumer. The same applies to brands—the consumer wants newness." The space opening up for new founders in retail tech obviously presents Imaginary with a huge opportunity to pick promising companies up at an early stage. However, it also means that Brown and Massenet must sift through a lot more dirt than usual. "A lot of what Natalie and I spend time on is identifying ... people that can build brands that break through that noise. Because there's a ton of noise, and if you pretend for a moment that there is not, you’ll get crushed." "We're in a moment now where it has never been easier to launch a brand, and this has created an extraordinary amount of noise in the consumer landscape," Brown said. "From new products, to consumer-packaged goods, to health, to wellness—to everything." One consequence of this is that there is much more pressure on brands to go after consumers proactively. "You can't only build your business through wholesale, or you can't open a standalone retail shop somewhere in Manhattan and London with the assumption that the foot traffic will find you," he added. "You have to find that traffic if you’re going to build a community and a brand for yourself that’s very much direct." This sea-change informs the kind of entrepreneur Imaginary is looking to back. "A lot of what Natalie and I spend time on is identifying founders and companies that have proven that they are exceptional at that; building unique stories around product, people that can build brands that break through that noise," Brown said. "Because there’s a ton of noise, and if you pretend for a moment that there is not, you'll get crushed." While ostensibly an early-stage fund, Imaginary does hold a number of larger, late-stage investments in its portfolio. Notable holdings include a stake in unicorn Farfetch (of which Massenet is co-chairman) and retailer Everlane. Farfetch (left) sells products on its platform from more than 700 brands, while Everlane (right) offers a full cost breakdown—from raw materials, shipping to markup—of the clothes it sells. "When José [Neves, Farfetch founder], came to talk to me about Farfetch, I was already in discussions with Nick," Massenet said. "I thought that it would dovetail nicely to have Imaginary invest in Farfetch, as it is the perfect example of a disruptive retail platform. "I got involved in it personally, because I believe Farfetch has the right business model to serve the luxury fashion consumer. And, as Imaginary was going to be my full-time focus, I wanted my limited partners and partner to know that all my interests are aligned with working to create value for the firm." Brown agreed, saying that while Imaginary is a core seed and Series A vehicle, there is room for opportunistic late-stage investments. "To the extent that we see late-stage opportunities that we can get atypical access to—where we have a unique relationship with a founder or a team—those are deals, as long as they're in sectors Natalie and I are operating in, that we want to be a part of." Coming from opposite ends of the entrepreneurial spectrum—Brown as a serial investor, Massenet as a successful founder—has helped to bring a well-rounded perspective to Imaginary’s investment thesis. "It's very helpful to have conversations with entrepreneurs about their business when you yourself have that first-hand experience," Massenet said. “We can sense-check whether an approach is realistic, or where the potential pitfalls could be, and also identify where the real opportunities are. "Nick has now almost a decade's worth of data, background and insights on this new generation of D2C brands, as well as best practices, and between the two of us we intersect with a network of people that can come in and advise." For Brown, having this 360-degree approach helps to foster mutual faith with potential startup owners. "I think a lot of it comes down to establishing trust from different angles, and establishing it very quickly," he said. "If you can't find a way to establish that trust as a team and also on an individual basis, I think it's hard to make a dent in ecosystems." And there are a number of ecosystems to dent. Areas on Brown’s agenda include inventory connectivity ("The maintenance and management of that inventory process will be a pretty powerful theme in terms of becoming more efficient"), food and beverage, the blending of beauty and wellness, and also natural ingredients. "We're very opportunistic as investors," he said. "We have things that we see as happening around us that we try to keep in the back of our minds to help drive the things we focus on and look at." For Massenet, the growing trend of personalization is something set to drive retail innovation across all segments, as well as the rise of more marketing-led, as opposed to merchandise-led, retailers. However, she is also excited about the growth of one particular consumer demographic. "Traditionally, women make a lot of the purchase decisions in the household, and I think men are going to become the biggest new segment of purchasers," Massenet said. She has experience in this area, too, having launched Net-a-Porter spinoff Mr Porter in 2010. "We're very excited to be in action and really enjoying the space. We believe in curating the best brands and best entrepreneurs." Which other VCs are investing in the space? Check out the top 8 VC investors in global retail.